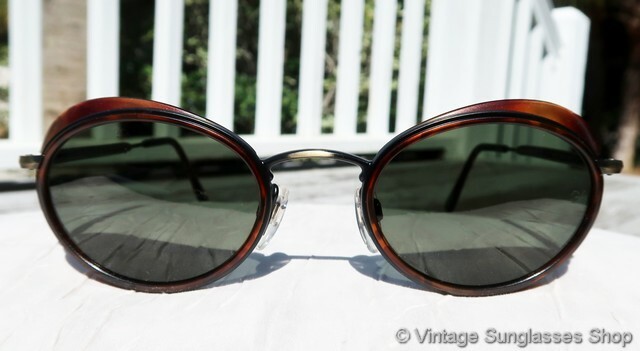 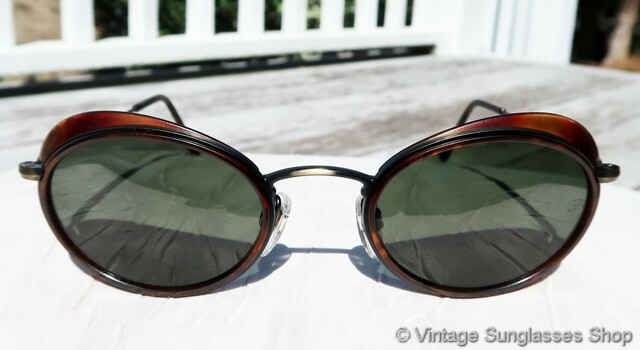 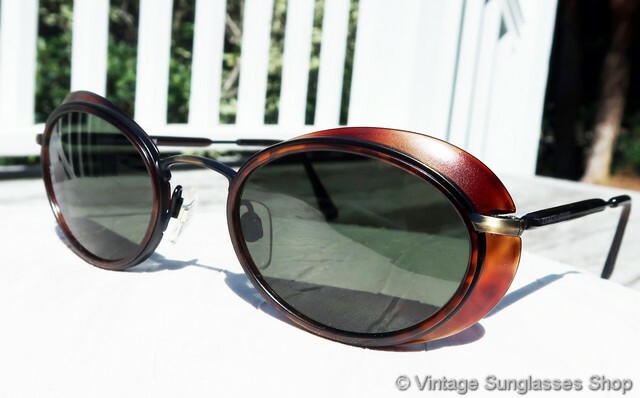 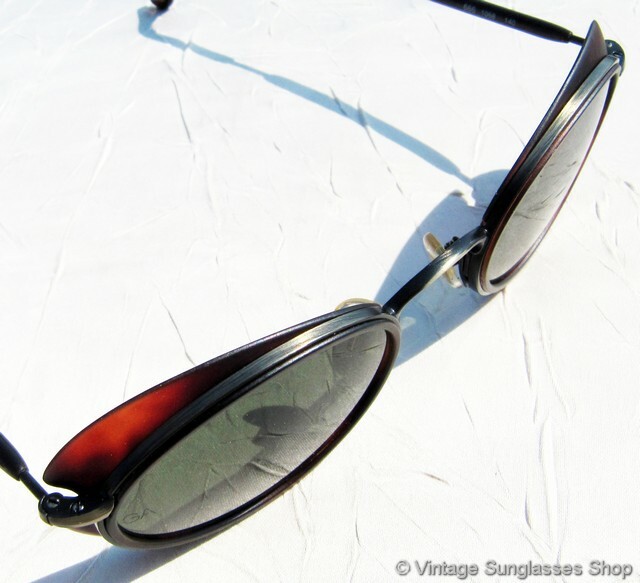 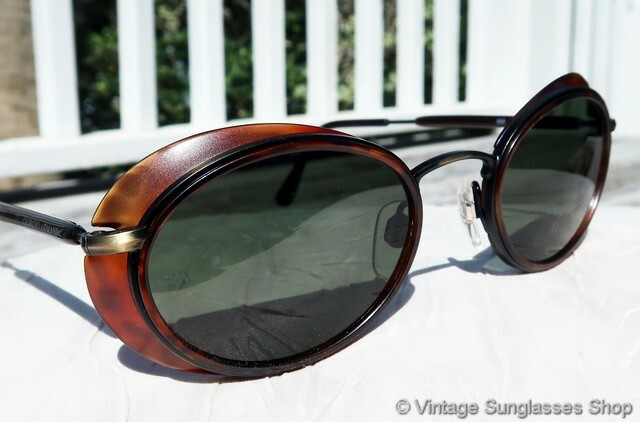 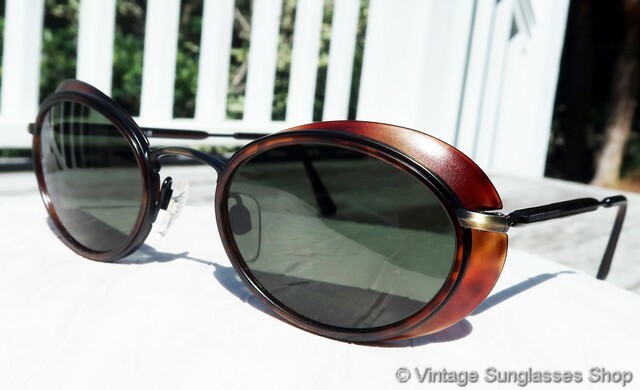 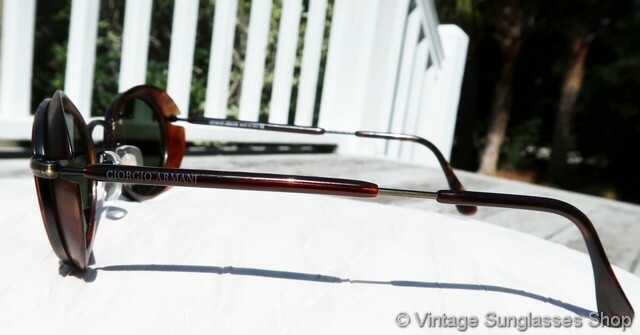 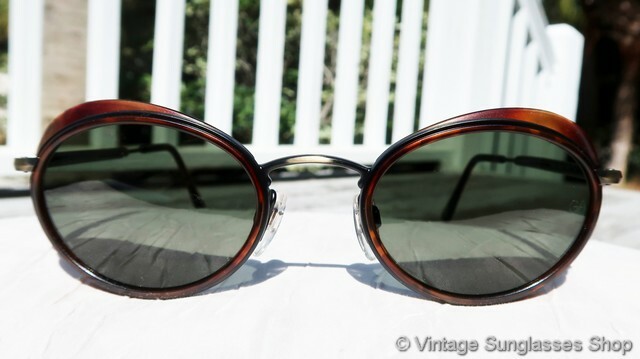 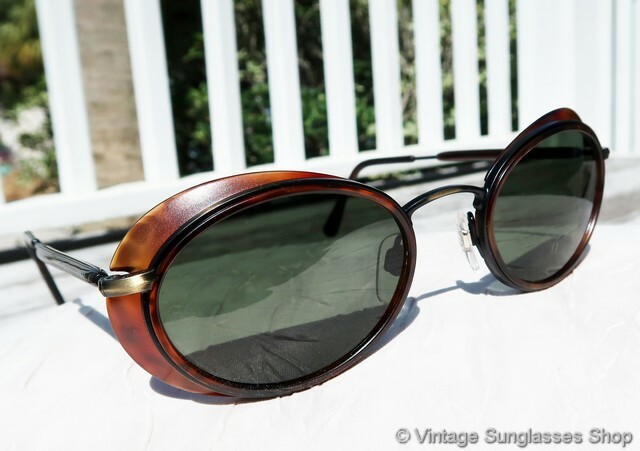 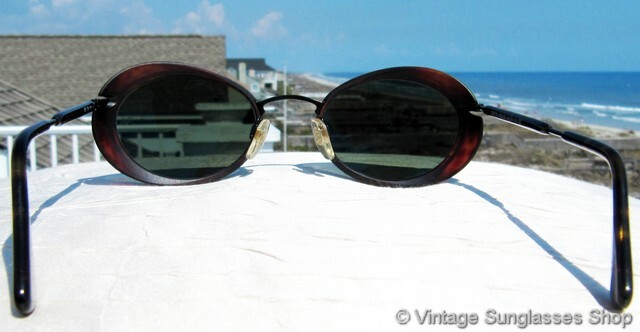 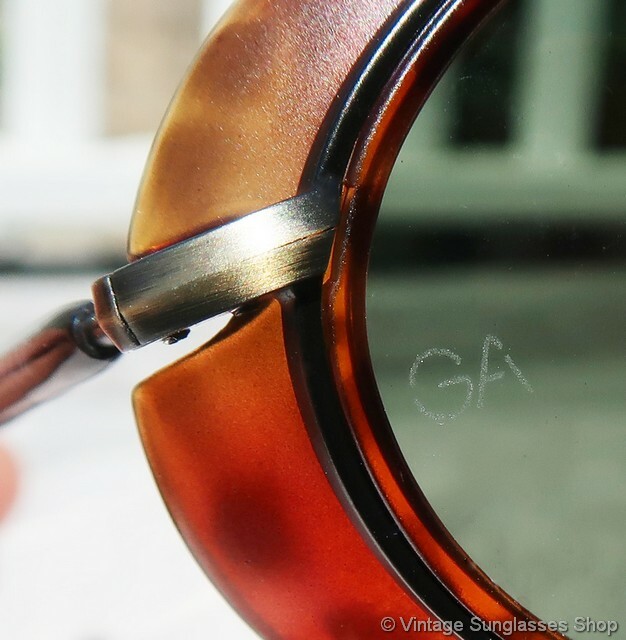 1 Vintage Giorgio Armani 666 1068 sunglasses feature rich red tortoise shell eye cups that form the rear of both mineral glass lenses, designed to contour closely to the face to give your eyes complete protection from wind, glare, and of course 100% UVA and UVB protection. 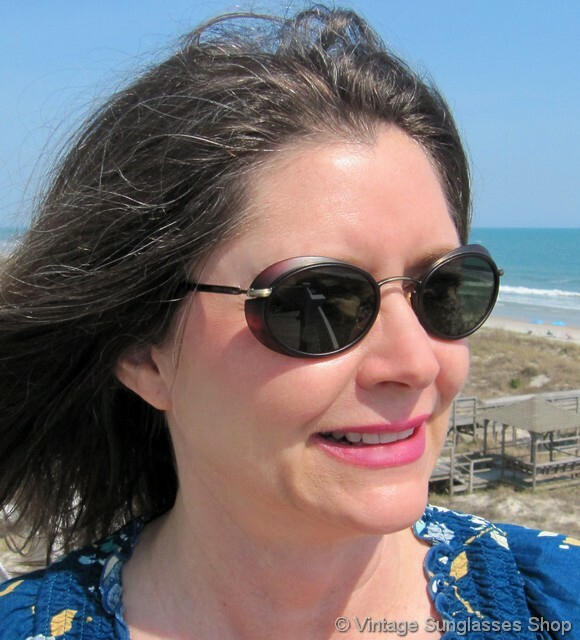 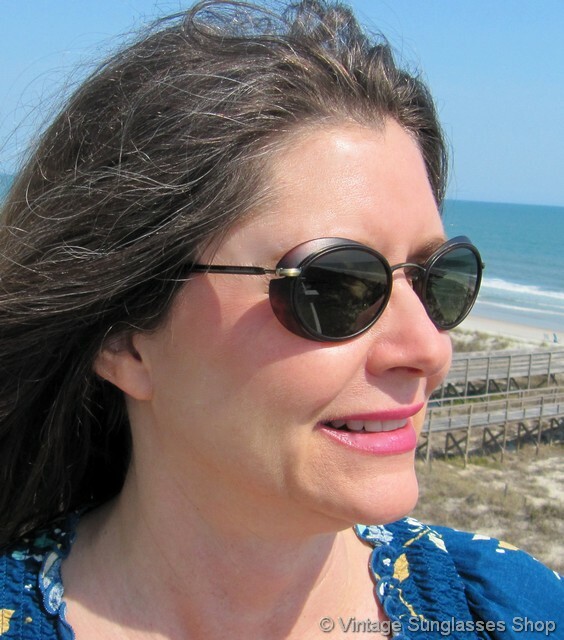 The etched gunmetal frame is a soft muted color that's a nice complement to the eye cups, and the entire color package looks great with the green Armani mineral glass lenses. 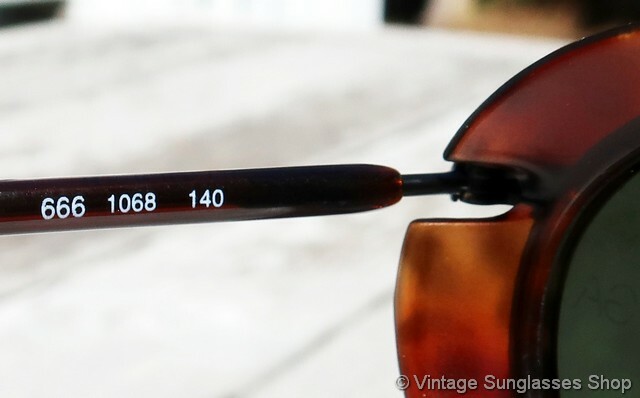 The unisex Armani 666 frame measures approximately 5.125" temple to temple, and the lenses measure approximately 1.875" x 1.25" at the widest points with both lenses laser etched GA near the hinges. 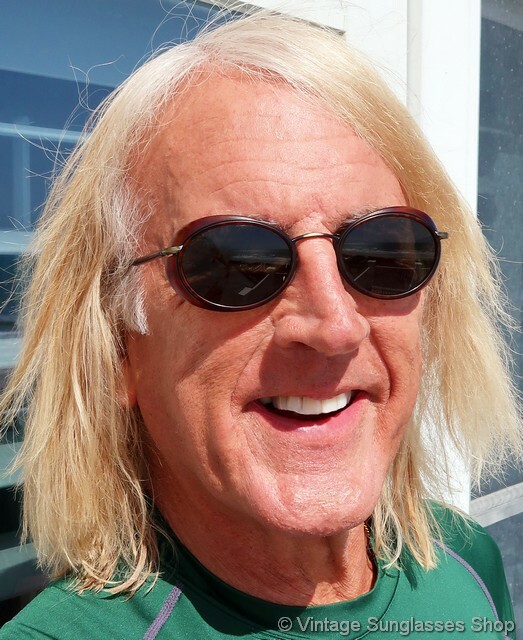 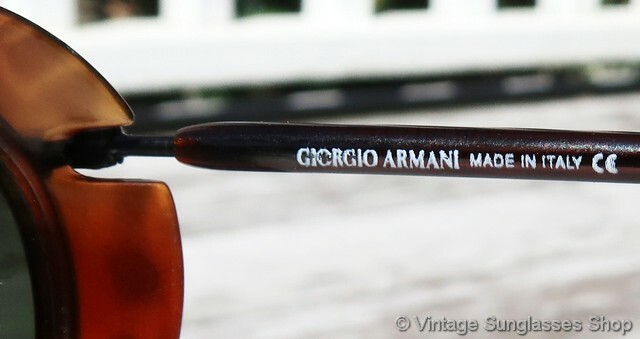 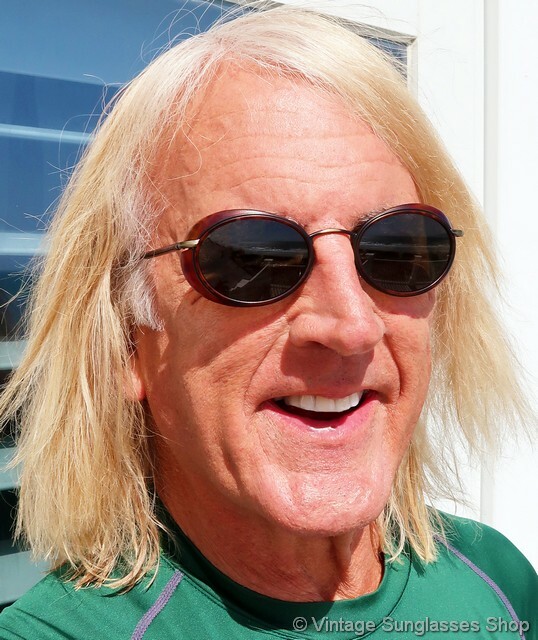 You'll find the GIorgio Armani logo embossed on the exterior of both ear stems, and the inside of one stem is marked Giorgio Armani Made in Italy CE while the inside of the other stem is marked 666 1068 140, part of a fine collection of vintage Giorgio Armani sunglasses in Malibu, CA. 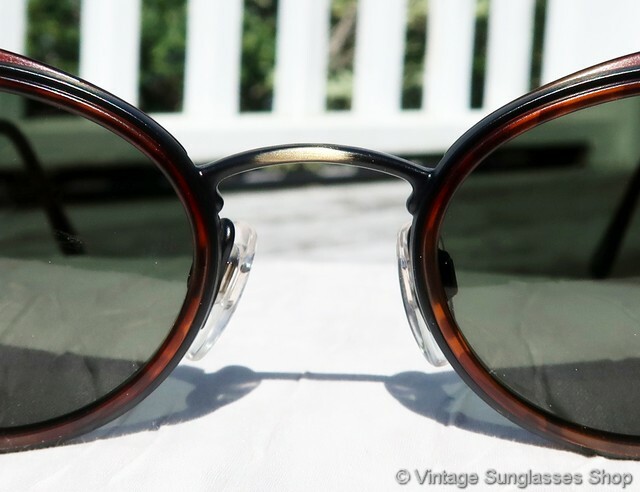 2 Step up another level beyond our already unequaled vintage condition standards with new old stock Giorgio Armani 666 1068 sunglasses with eye cups in mint, unworn condition.